Therefore, many companies and entrepreneurs around the world will be considering this year an investment in Poland. One of the first question is what is the best business structure for your Polish investment? There is no “one size fits all” answer. There may be various solutions for running your business in Poland: a partnership, a limited liability company, a branch or a joint-stock company. There may be different answers depending on your plans. I will not give you exact answer what it the right business structure for you. 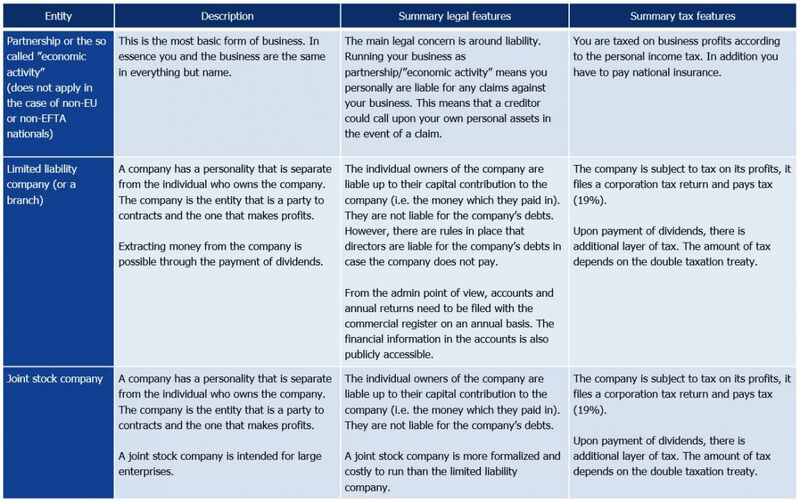 Below, I present some basic information about the most common business structures which are available in Poland, and some of the questions you need to ask yourself before making your mind up, or seeking out the professional help.